Singapore is an island country in South East Asia. It is one of the leading commercial hubs in the world. It has a globalised and diverse economy which is very stable. Singapore has a tropical rainforest type climate, with no specific seasons. It has sublime weather conditions which remain uniformly constant throughout the year. The culture and traditions of Singapore are very unique and attract a number of people. Visit Singapore to have an enriching experience. There are a lot of tourist spots in Singapore which beckon travelers from abroad to Singapore each year. Some of these attractions are Sentosa, Singapore zoo, Jurong Bird Park, Singapore Botanical Gardens and Night Safari, along with many more. 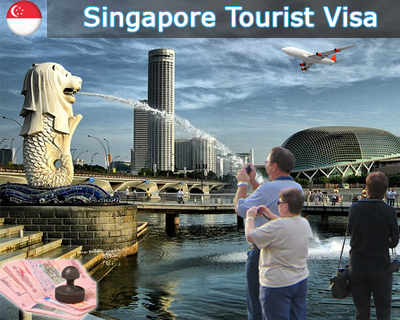 In order to see all these stupendous attractions offered by Singapore, apply for a Singapore tourist visa. A Singapore tourist visa is given to travelers for the purpose of tourism. With this visa, you can visit relatives and friends living in Singapore as well as spend some leisure time here. Most visitors entering Singapore do not need a visa but are eligible to receive social visit passes instead. The duration of your permitted stay will be given on your visit pass endorsement as stated in your passport. However, you can extend your stay in Singapore by applying to the Immigration and Checkpoints Authority or ICA once you reach here.